JPMorgan Will Pay $4.5 Billion To Investors Of Toxic Securities : The Two-Way Institutional investors accused the bank of misrepresenting the true value of mortgage-backed securities, many loaded down with subprime loans. 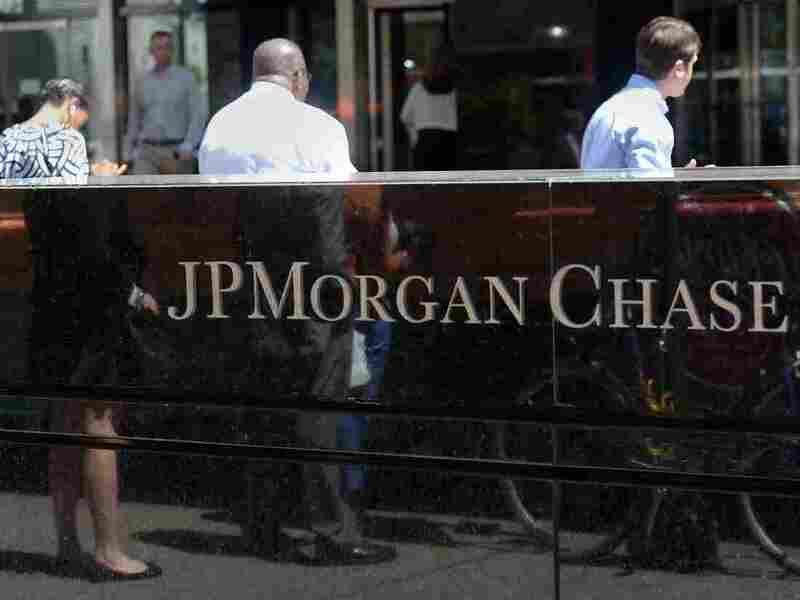 JPMorgan Chase & Co. says it will pay a $4.5 billion settlement to investors over mortgage-backed securities. JPMorgan Chase & Co. has agreed to pay $4.5 billion to settle claims from investors who lost money on mortgage-backed securities that went sour as the U.S. housing market imploded. The settlement is with 21 institutional investors and is separate from the $13-billion-dollar agreement reached last month with the Department of Justice to settle civil charges related to wrongdoing by some of JPMorgan's units. "The bank will make a binding offer to the trustees of 330 residential mortgage-backed securities trusts issued by the bank and Bear Stearns, which it took over during the financial crisis, [a person familiar with the matter] said. The settlement does not include trusts issued by Washington Mutual, which JPMorgan also acquired, the person said." Institutional investors accused JPMorgan of misrepresenting the true value of the securities, many of which turned out to be toxic under the weight of subprime mortgages. "The offer, which the trustees may seek court approval for, would resolve all representation and warranty claims as well as servicing claims on all trusts issued by J.P. Morgan, Chase and Bear Stearns between 2005 and 2008," the firm said in a statement. "While this agreement would resolve representation and warranty claims as well as servicing claims facing the firm with respect to J.P. Morgan, Chase and Bear Stearns trusts, it does not resolve claims on trusts issued by Washington Mutual," the statement said. The 21 investors include BlackRock, Metlife, Allianz SE's Pacific Investment Management Co., the TCW Group and Bayerische Landesbank.